Bryan Singer's X-Men: Apocalypse is now playing in theaters around the globe; but, as is the case with most every superhero/comic book movie made nowadays, the conversation about how the film paves the way for future franchise installments is as interesting (if not more so) than discussions of Apocalypse itself. The conclusion to Apocalypse sets up plot threads that will undoubtedly be carried forward in the next central X-Men series chapter, while the film does its fair share of universe-building - by introducing characters such as Olivia Munn's Betsy Braddock/Psylocke into the X-Men cinematic universe, among other things. Apocalypse doesn't explicitly spell out what the future holds for Munn as Psylocke, but the film does suggest this won't be the last time we see her in the X-Men films either. The X-Force movie that's currently in (early) development is one obvious place for Psylocke to show up in the future, seeing as the character became a member of that mutant team in Marvel Comics' Uncanny X-Force comic book run (which debuted in 2010). So did Wade Wilson/Deadpool, at that. While the X-Men movies (in theory, anyway) take place in the same cinematic universe, there are distinct differences between the various installments in the franchise. The central X-Men movies (which includes Apocalypse) embrace a more operatic PG-13 tone and style, whereas the upcoming Wolverine 3 will push the Wolverine solo movies fully into R-Rated territory - the same place where Deadpool took the X-Men franchise, earlier in 2016. However, the raunchy irreverence of Deadpool makes it a very different animal than the grislier Wolverine 3 or a potentially R-Rated X-Force film, as X-Men franchise writer/producer Simon Kinberg has noted. The third Wolverine solo movie is expected to pave the way for an X-Force movie that has a similar hard-edged feel, be it R-Rated or not; and although Munn as the anti-hero Psylocke is a natural fit to join that cinematic version of X-Force, the fourth wall-breaking big screen of Wade Wilson might be better left to play in his own sandbox. 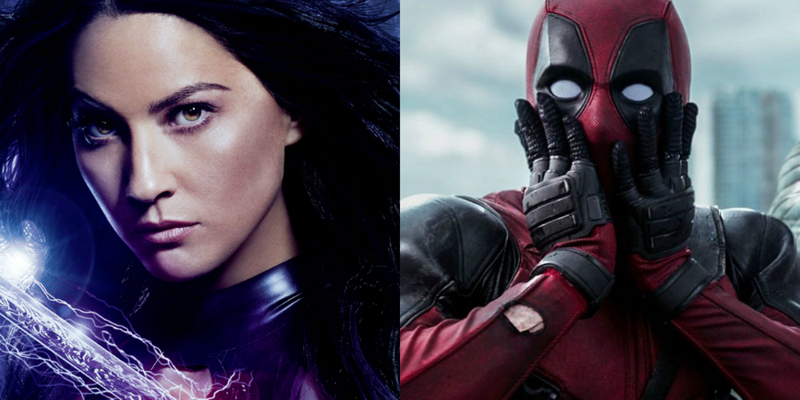 On the other hand, Reynolds has said that X-Force is a "priority" for him and he would presumably be willing to play down Wilson's self-referential humor enough for the character to not seem out of place in X-Force (possibly alongside such characters as Psylocke and Mutant X-23), for that same reason. As noted by by Munn, the long-term plan for the franchise seems to revolve around uniting different X-Men characters - with movies such as New Mutants including the "new X-Men" from Apocalypse, while characters such as Psylocke, Deadpool, Cable (whose time travel abilities could bring together players from the different points in the X-Men movies timeline), and maybe even Channing Tatum's Gambit cross paths in X-Force. These characters all have an interesting dynamic together that could make for a compelling story, so why not, right?